The Ministry of Transport is prioritizing construction of water reservoirs and pumping stations while upgrading Tan Son Nhat airport. These constructions at the nation’s largest airport in Ho Chi Minh City are expected to be completed before next year, the ministry has said. The constructions are part of an expansion plan for the Tan Son Nhat airport that seeks to alleviate the situation of being overloaded. The airport has to handle 36 million passengers per year, way above its designed capacity of 25 million. The expansion project, which could be funded by the Airports Corporation of Vietnam (ACV) per a suggestion from the ministry, also includes the construction of a third terminal and the expansion of a plane parking area. If funds can be sourced from private and public sources, construction of the third terminal and the runway expansion is expected to be completed before 2022. The ministry also suggested an upgrade for the airport’s runways and accompanying facilities, which are expected to be done between 2019 and 2020. Funding for this, estimated at VND4,460 billion ($192 million), would be sourced from the Vietnamese government’s emergency fund and from the airport’s revenues. The northern section of the airport, which contains plane maintenance facilities, among others, would have its expansions and upgrades funded through private funds. Vietnam’s airline market is the third fastest growing in Asia-Pacific, and the country is grappling with a severe lack of airport capacity. Vietnam served more than 94 million air passengers last year, up 16 percent from the previous year, according to the Civil Aviation Authority of Vietnam. Covering 800 hectares, Tan Son Nhat has space for 57 aircraft at a time, but sometimes it has to handle more than 70. The international airport currently has only two runways that are sometimes closed due to flooding or lightning strikes. 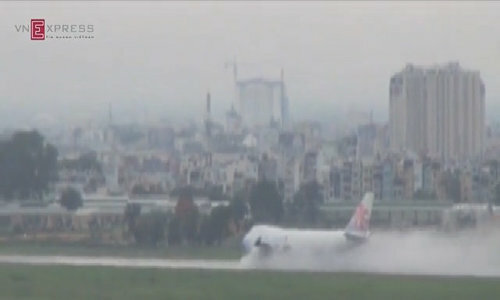 In August, the Ho Chi Minh City Urban Flood Control Steering Center asked the municipal administration to allocate VND150 billion ($6.7 million) from the city budget for upgrading the Hy Vong Canal, a major drainage canal for the Tan Son Nhat Airport which is often clogged with garbage, to prevent flooding at the airport. 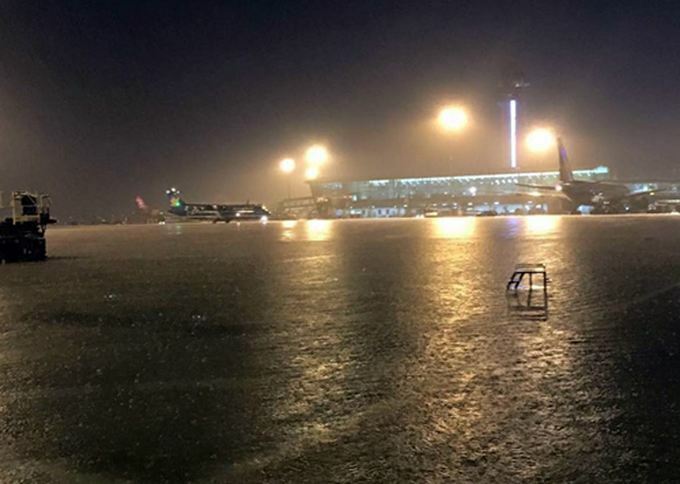 In 2015, heavy rains flooded several parts of the airport, with water rising to as high as 20 centimeters, threatening to compromise the airport’s power generators, and prompting employees to barricade the area with sand bags. Littering that blocked a two-kilometer long drainage canal had caused the flooding.